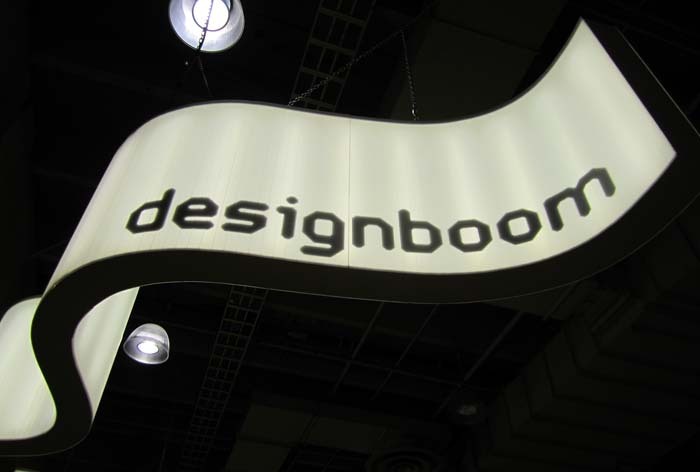 After two days at the designboom mart 2012 at ICFF, things are going really well at our table with lots of nice feedback, but we’ve also had the pleasure of being surrounded by so many interesting, clever, and beautifully designed products. Here are some of our immediate neighbors whose designs we’ve been admiring. Above top, Seoul-based design studio TEEV has designed these very clever picture frames in the style of an airplane window. No, the window shade does not come down, despite many a person’s attempt at pulling, but even without that possibly-in-the-future fun feature, these frames put a smile on most everyone’s face. Right below the photo frames, Nancy Froehlich’s Bold & Lovely chunky porcelain bowls with bright and colorful glazed interiors, are simply beautiful. Contemporary and fresh in their design, we’re still trying to decide which one of these bowls from Oregon we’re going to purchase for ourselves. Nancy also has a line of plates with quote marks on them that have been quite popular at the show. A couple of tables over, Colombian design studio Proyecto Tres y Medio have brought along their Tápate messenger bags made of recycled plastic bottle caps that have been sewn together and lined to make a series of very unique bags. 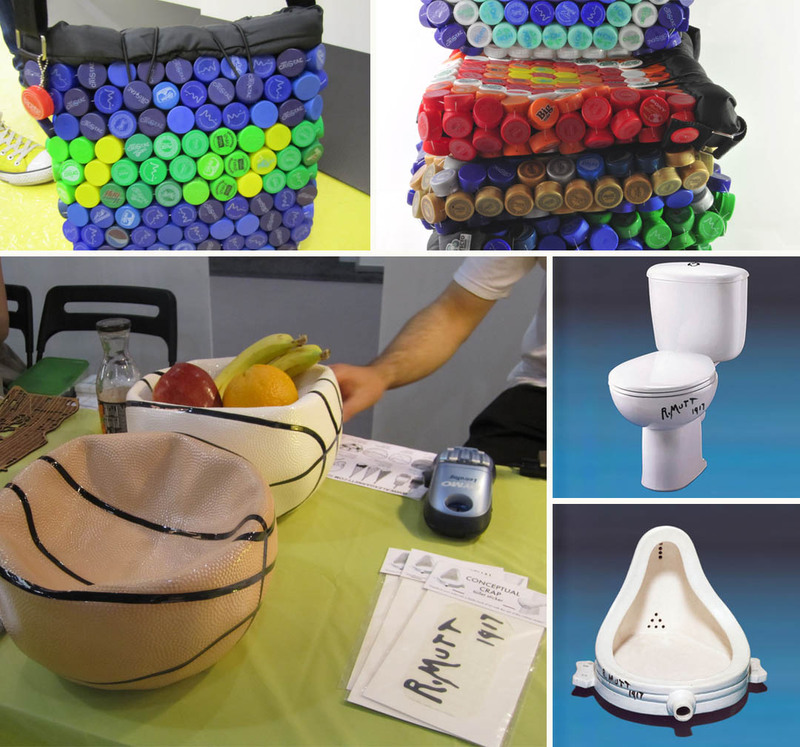 UK-based Alex Garnett has an interesting collection of work that includes ceramic fruit bowls in the shape of squashed basketballs and, Daniela’s favorite (though she got there two minutes after the last one at the mart was sold): Conceptual Crap –“R. Mutt” stickers to transform your toilet into a Duchampian/DADA work of art. Brilliant! Moissue from Taiwan has some spectacular woodwork. Their Dandelion stool — which doubles as a magazine rack — is beautifully crafted and would make a great sculpture on its own let alone a dual-purpose piece of furniture. 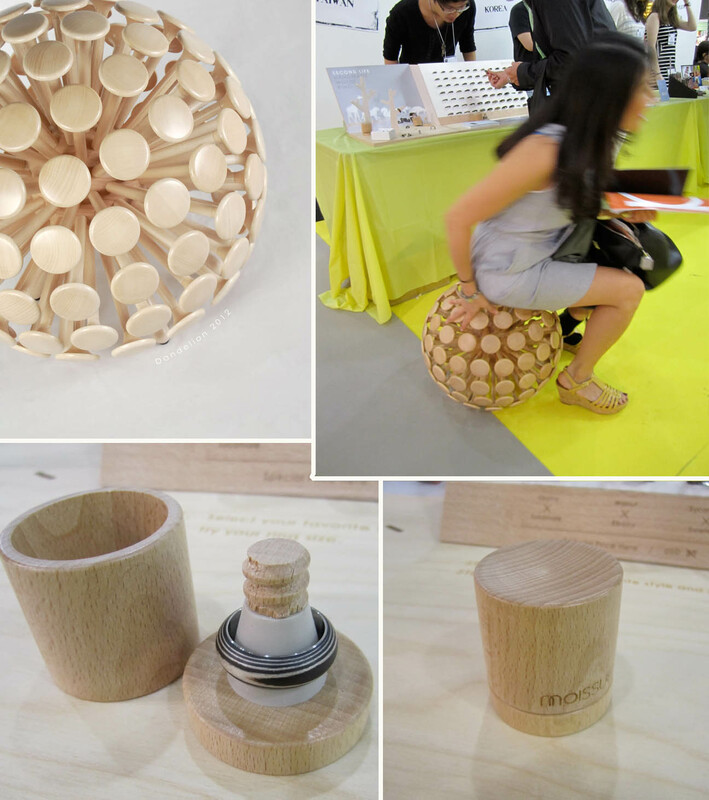 Their wood and metal rings are lovely, but what really blew us away is their incredibly innovative packaging; a wooden cylinder that screws shut with the ring inside. Without a doubt the best jewelry packaging I’ve ever seen. There are plenty more creative products at the designboom mart and we’ll also be sharing some designs from ICFF 2012 as well in the coming days.